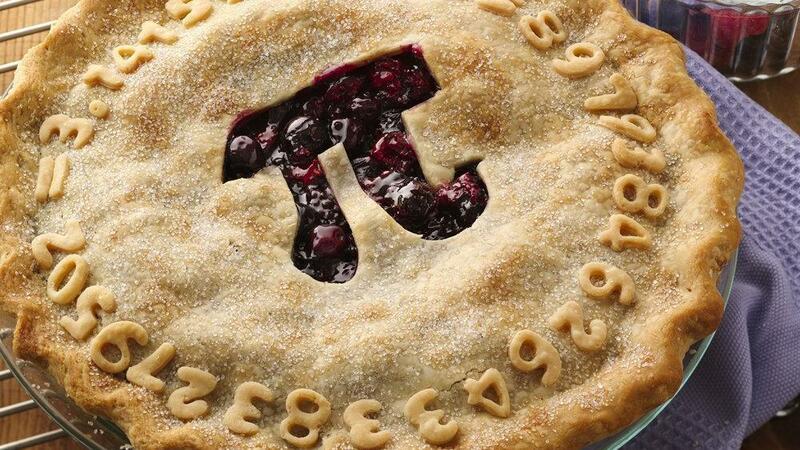 Today is Super Pi Day, a spin off of Pi Day. 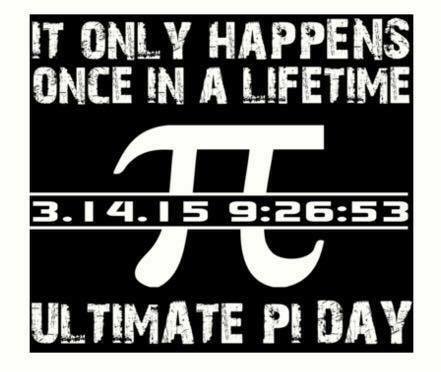 Pi Day is typically celebrated on 3/14 at 1:59, but this year is special as it is celebrated on 3/14/15 at 9:26:53. Super Pi Day only happens once every hundred years. 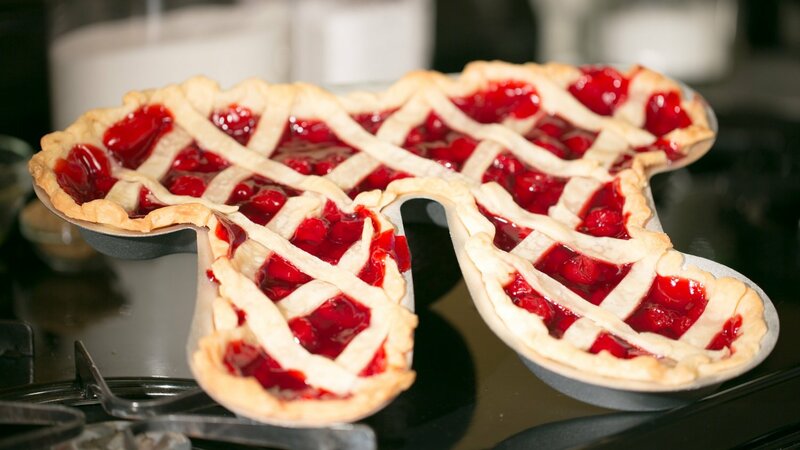 Pi Day gets its name from the mathematical term Pi (π) which, of course is the number. The number π is a mathematical constant representing the ratio of a circle’s circumference to its diameter. It’s an irrational number, meaning that it can’t be represented by a common fraction. Thus, its decimal representation never ends, and it never settles into a permanent repeating pattern. Read some interesting Pi Factoids here.The idea of celebrating Pi was organized by Larry Shaw at the San Francisco Exploratorium in 1988. 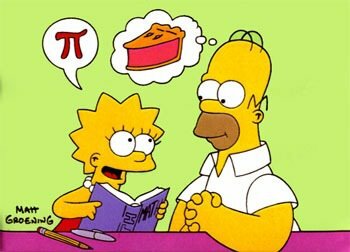 On March 12, 2009, the U.S. House of Representatives even passed a non-binding resolution recognizing March 14 as National Pi Day. Many celebrate the day by eating and making pies. Some even make them in the shape of the Greek character Pi, as shown above. This has become traditional in many places around the world! 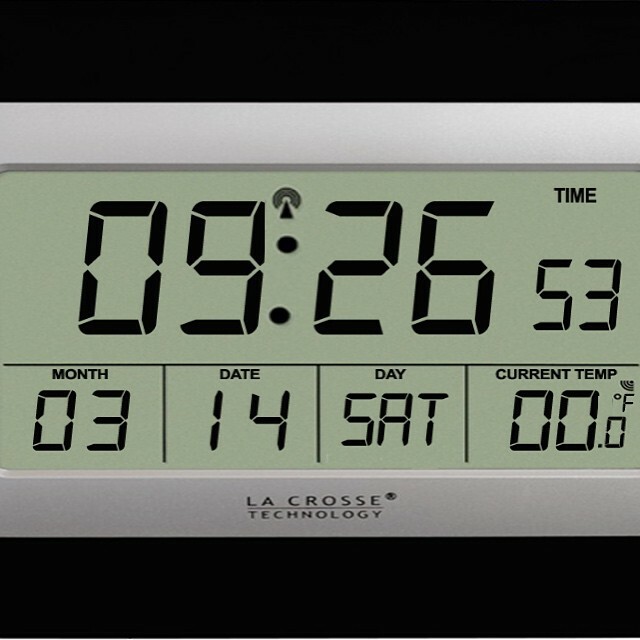 There is most certainly a geeky, novelty loving side of me, so I looked for a good digital clock for my iPhone and downloaded it so I could catch the moment down to the second. Unfortunately, the digital clock did not show the year, but, rest assured it is 2015!! And, I am cheap gee as well…I bought the free version of the app, which does not include the weather, so it says 00 for the temperature. HA! 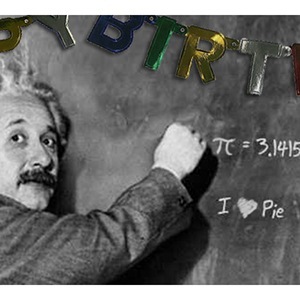 Finally, I should note that Einstein’s birthday is March 14, so one of the world’s most amazing mathematicians was born on Pi Day. And for a final fun piece of trivia, check out the post on my favorite travel site Roadside America about the monument in Portland, OR with the wrong value of Pi engraved for the world to chuckle at…. Have a happy Pi Day…if you missed the exact time, set your digital clock on 12 hour clock, rather than military time (which is what I use), and you can celebrate again tonight at 9:26:53 PM…will be the second time in 100 years you can celebrate!! And go make yourself a pie!